This is the Motor Brake Second Open from a 4 COR. Numbered 3142 after the one that has been preserved This is a 2 car 2HAP. 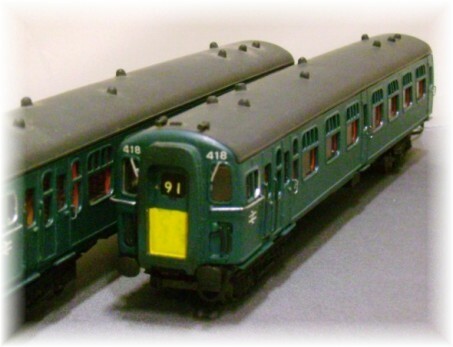 The coaches are based around a Lima vehicle with new sides and front. These are the driving cars from a 4LAV. 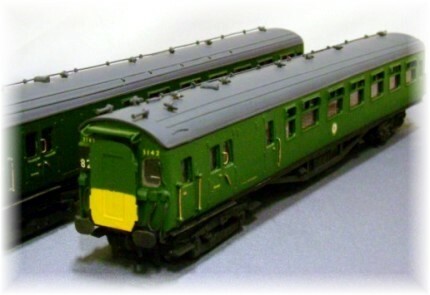 Again the coaches are based around a Lima vehicle with new sides and front. This is one of the driving cars from a 4TC. Again the coaches are based around a Lima vehicle with new sides and front. 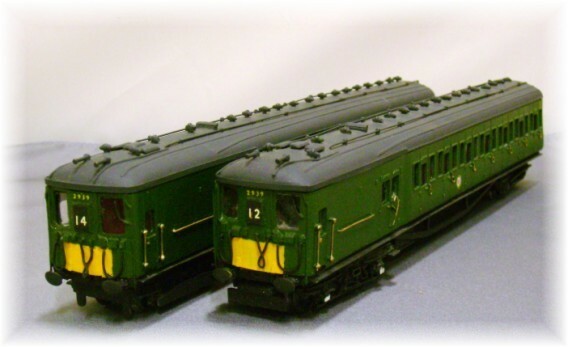 All units (except the TC) have been re-motored using the latest Hornby motor that is used in the Class 73 and Class 101 DMU and each have been fitted with a DCC chip made by either Bachmann or Lenz. 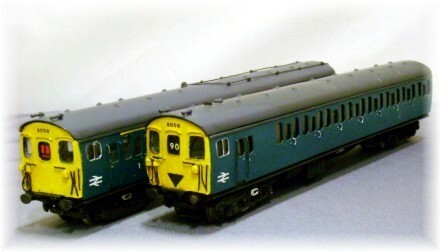 We have fitted Kadee couplings to those units that would have in reality had buckeye couplings.